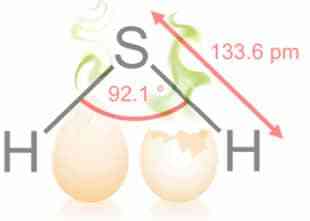 Hydrogen sulphide (H2S), known as ‘gas of rotten eggs’, is a toxic and colourless gas. However, H2S can be produced in many types of mammalian cells and may be used as a gaseous mediator to influence biological functions . During the last decade, scientists discovered H2S’s central role in lots of processes, such as blood pressure control and metabolysm’s regulation: so this gas could be used to cure heart attack and some other disease (such as Alzheimer and Parkinson’s disease). Functionally, H2S has been implicated in the induction of hippocampal long-term potentiation, brain development, and blood pressure regulation. By acting specifically on K(ATP) channels, H2S can hyperpolarize cell membranes, relax smooth muscle cells, or decrease neuronal excitability. It is also hypothesized that H2S is the third endogenous signalling gasotransmitter, besides nitric oxide and carbon monoxide: the endogenous metabolism and physiological functions of H2S position this gas well in the novel family of ‘gasotransmitters’, endogenous gaseous transmitters. This positioning of H2S will open an exciting field –H2S physiology- encompassing realization of the interaction of H2S and other gasotransmitters, sulfurating modification of proteins, and the functional role of H2S in multiple systems. It may shed light on the pathogenesis of many disease related to the abnormal metabolism of H2S. In 2007 David W. Kraus, from University of Alabama, discovered that garlic has some chemical compounds containing sulphides. These sulphides are converted into H2S by molecules that are connected to erythrocytes’ membrane. During the same year, Yizhun Zhu from Fudan University of Shanghai discovered that garlic contains S-allyl-L-cysteine that stimulate production and circulation of H2S into the organism. These are proofs of the link between garlic and H2S: the apparent benefit given from garlic consumption, that is recommended by lots of researchers and doctors, is related to the reduction of the risk of myocardial infarction, ictus, renal disease and some kinds of tumors and to the improvement of immune system. Hydrogen sulphide isn’t the only toxic gas produced and used by human organism. NO-nitric oxide- is produced in low concentration by human body as transmitter that influences cell’s behaviour. It has been found that NO induces relaxation of blood vessels, regulates immune system and transmits signals between neurons, and that CO carbon monoxide, a colourless and odourless gas, also called ‘silent killer’, can cause similar effects. NO presents a membrane receptor-independent signalling mechanism, so the discovery of this endothelium-derived relaxing factor is important to emphasize the necessity to modify the conventional doctrine about cellular signal transduction. To distinguish NO and CO from the classical neurotransmitters and humoral factors while acknowledging the common nature of these two gases, scientists classified these endogenous gaseous transmitters against several criteria. According to that, these gaseous transmitters have been reunited in a new group, and they have been called ‘gasotransmitter’: NO and CO are the first two identified gasotransmitters, and new study have made arguments to entitle hydrogen sulphide as the third gasotransmitter. The detectable level of H2S by the human nose is at a concentration 400-fold lower than the toxic level. Our nose detects H2S at the concentration of 0,0047 ppm (part per million). At the concentration of 500 ppm this gas compromises the act of breathing and the exposition at a concentration of 800 ppm for five minutes causes death. Despite that, the human organism needs hydrogen sulphide to survive. Oxydation of H2S yields elementar sulphur, sulphur oxide (SO2), and sulfates such as sulphuric acid. H2S can be hydrolized to hydrosulfide and sulphide ions in the following sequential reactions: H2S<-> H+ + HS- <-> 2H+ + S--. Even in an aqueous solutions, about one-third of H2S remains undissociated at pH 7,4. H2S is permeable to plasma membranes as its solubility in lipophilic solvents is approximately fivefold greater than in water. PubMed- Two's a company, three's a crowd: can H2S be the third endogenous gaseous transmitter? The production and utilization of H2S have been best known for certain bacteria and archae, but also mammalian cells produce it. Aside from circulating H2S, a significant amount of this gas is produced in various tissues. The production of H2S is due to two pyridoxal-5-phosphate-dependent enzymes: CBS cystathionine beta-synthase and CSE cystathionine gamma-lyase. These enzymes are responsible for the majority of the endogenous production of H2S in mammalian tissues that use L-cysteine as the main substrate. CSE in our vessels reacts with L-cysteine to product H2S and others two compound: pyruvate and ammonia (NH4). In some tissues CBS and CSE are both needed for generation of H2s, whereas in others one enzyme suffices. The expression of CBS and/or CSE is tissue specific, and has been indentified in many human and other mammalian cells, including those from liver, kidney, lungs, brain, skin fibroblasts, and blood lymphocytes. As the end product of CBS- and CSE-catalyzed cysteine metabolism, H2S exerts a negative feedback effect on the activity of these enzymes. Elevated H2S’ level inhibites CSE activity and the rate of gluconeogenesis from cysteine. Another less important endogenous source of H2S is the nonenzymatic reduction of elemental sulphur to H2S using reducing equivalents obtained from the oxidation of glucose. Regarding H2S’ elimination, in vivo H2S is metabolyzed by oxidation in mithocondria or my methylation in cytosol. H2S can also be scavenged by methemoglobin or metallo- or disulfide-containing molecules such as oxidized glutathione. H2S is then excreted mainly by the kidney as free or conjugated sulphate. We have to direct our attention in particular to the interaction of hemoglobin with H2S. Haemoglobin may be the common ‘sink’ for CO in forming scarlet carboxy-hemoglobin, for NO in forming nitrosyl haemoglobin, and for H2S in forming green sulfhemoglobin. If this sink is filled with one gas (NO,CO or H2S), the binding of other gases would be affected and their individual availability to act on targeted cells would be altered. The physiological functions of endogenous H2S may be multifacected and may affect lots of tissues and organs, but the main effects can be seen in the nervous system and in the cardiovascular system. The evidence for the physiological role of H2S was obtained in 1989 when endogenous sulphide levels in rat brain tissues and in normal human post-mortem brainstem were reported. The study by Awata et al. in 1995 provided the enzymatic mechanism for this endogenous H2S in rat brain: it was discovered that CBS is the major endogenous enzyme for hydrogen sulphide production in brain (on the contrary, CSE is not used in the nervous system). The role of H2S in the nervous system is still not very well known, but some researches suppose a neuromodulatory function: H2S may make neuronal circuites less or more responsive to inputs. H2S may also participate to long-term potentiation, a process that facilitates communication between brain cells, and so it may facilitate learning and memory. Moreover, some study demonstrated that H2S increases levels of glutathione (antioxidant) in neuronal cells, so it may protect these cells from stress. Hydrogen sulphide may also help the body to perceive pain, in order to react against it. In the cardiovascular system, the main role on the production of H2S is played by the enzyme CSE (whereas CBS is absent in these distrects). Thus, CBS does not appear to play a major role in generating H2S in cardiovascular tissues under physiological conditions. On the other hand, expression of CSE and the endogenous production of H2S have been showed in lots of types of vascular tissues. The physiological function of H2S in the cardiovascular system has been studied recently. An intravenous bolus injection of H2S transiently decreases blood pressure of rats by 12-30mmHg, an effect mimicked by pinacidil (a Katp channel opener) and antagonized by glibenclamide (a Katp channel blocker). H2S plays an essential role in blood pressure regulation. First studies showed that an other gas, nitric oxide, relaxes blood vessels by activating the enzyme guanylyl cyclise, that is located in the vascular smooth muscle cells (SMCs). Recently, scientists discovered that H2S has the same vasodilator effect. The difference between NO and H2S regards the mechanism of action: in facts H2S doesn’t causes the production of cGMP. 4)blood vessel’s dilation decreases blood pressure and increases blood’s flow. The fact that H2S is produced by the cardiovascular system’s cells in order to help controlling blood pressure is a discovery which has caught the attention of many researcher. They sought new way to protect heart from damages caused by hypoxia and its consequences (such as heart attack). In 2006 Gary F. Baxter discovered that, by the injection of H2S in rat’s hearts, before simulating an heart attack, he could reduce bad effects of anoxia on the cardiac tissue. The following year David Lefer proved that rats which produced a greater quote of H2S faced in a better way hypoxia in the tissues of cardiovascular system, and they were also more resistants to the damages due to the riperfusion injury. These discoveries indicate that H2S may be used to prevent or to cure hypertension, heart attacks and strokes. According to some researches, garlic can relax blood vessel wall, prevents platelets aggregation and decreases blood pressure. These effects can reduce the risks of heart attack, stroke and kidney disease. Researchers linked garlic consumption to a better functionality of immunitary system and a decrease of the risk to develop some kinds of tumors. 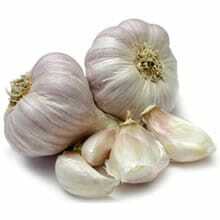 Compound containing sulphides in garlic are converted in H2S by enzymes and molecules placed on erythrocytes membrane. Moreover, garlic contains L-cysteine that stimulates the production and circulation of H2S on the organism. PubMed- Discoveries of Hydrogen sulfide as a novel cardiovascular therapeutic. H2S seems to participates to the regulation of metabolism. Mark B. Roth gave low concentrations of H2S to some rats to reduce their metabolism, in order to stunt the development of some disease. He observed that after the administration of H2S rats’ pulsation decreased of 50% compared with the initial pulse, leading up to a state of frozen animation. In this condition metabolism slowed down to the point that rats could survive only breathing hydrogen sulphite and oxygen without any evident negative effects. During this hibernation rat’s organism seemed to keep a basal metabolism which protected vital organs till energy level is back to normality: in facts rats returned to the normal metabolic rate after 30 minutes from the interruption of H2S’ flow. If effectiveness and security of hibernation would be demonstrated also for humans, this method could be used in emergency medicine: for example, a person involved in a car crash or a person who went into an heart attack could breathe H2S and gain time to arrive to the hospital. The toxicity of H2S has been know for at least 300 years. The major lethal consequence of H2S’ intoxication is the loss of central respiratory drive due to biochemical lesions of the respiratory center of the brainstem. In the presence of > 30 milliM HS-, no apparent disturbance in oxidative phosphorylation could be observed likely due to the rapid oxidation of H2S in mithocondria. The line between toxicological and physiological effects of H2S is very thin. The reportered toxic level of H2S is < twofold greater than its endogenous level in rat brain tissues. It is thus reasoned that the dose-response relationship of H2S at the physiological concentration range must be very step before the physiological effect of H2S sharply transforms into a highly toxic effect. Moreover, mammalian cells must possesses a delicate regulatory mechanism to control the endogenous H2S level within the physiological range. For this reason, H2S and his effects aren’t always useful. For example, we still don’t know the effects of this gas on the inflammatory reaction. Furthermore some researches suggest that H2S may help to provoke diabetes type 1: in facts H2S is also produced by pancreas’ beta cells. In rats researchers can notice an exaggerates production of H2S in pancreas’ beta cells, causing two bad effects. First, H2S kills lots of beta cells, so that the rest aren’t capable to produce the needed quantity of insuline. Second, the gas prevents insuline’s release by the residual beta cells. Thus, H2S may be responsible of insufficient level of insuline in patients affected by diabetes type 1. In the matter of hibernation, scientists are not sure that the effects reported in case of hibernation of rats and sheeps could be also reported in case of human hibernation: they have to demonstrate is H2S may keep the organism in a stand-by state and in the same time conserve vital functions such as memory and though process. Lots of pharmaceutical industry are trying to develop drugs in order to give to patients specific concentration of hydrogen sulphide. Experiments on animals suggests that these drugs are useful to cure neuronal and gastrointestinal inflammatory disease, heart attack and pathological vessel’s dysfunction. Meanwhile Ikaria, an industry with offices in New Jersey, started some clinical trials. This test has the purpose to demonstrate the effectiveness of an injected form of H2S addressed to patients who had heart attacks or patients that are going to have a cardiac or pulmonary operation. Even if people try to avoid H2S exposure, researches demonstrates H2S’ role on heart’s health, and potentially also of brain and others organs’ health. Moreover it is possible to H2S to have other unknown purpose.